← How much local is too much? This is for faithful reader Norman Holly, who reminds me that I should be posting some wine recommendations. This is a wine blog, after all. So in the hopes that warm weather is – or is about to be – here for good, I present some 2013 rosés from France and Italy. I’m impressed with the 2013 crop of pink, and expect to be recommending some more in coming weeks. That is, if Norman reminds me to post them. 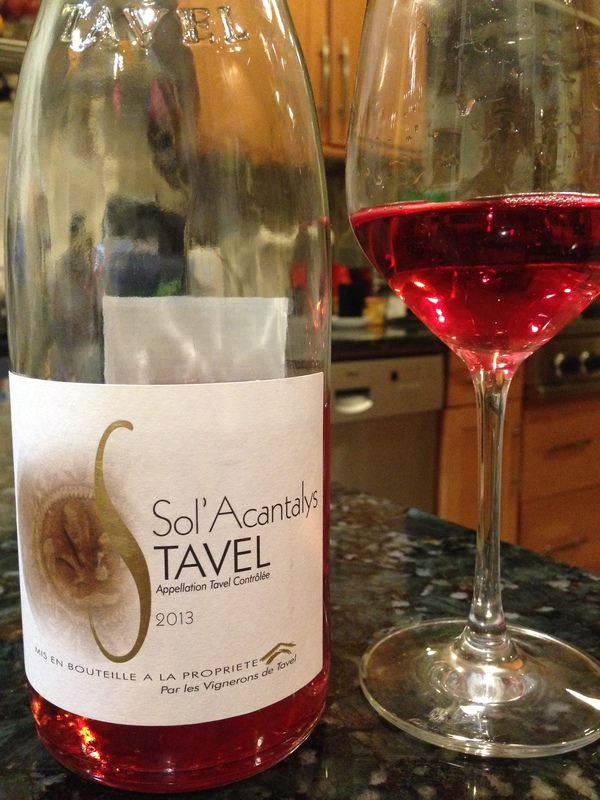 Tavel is an appellation that specializes in rosé, typically deep red in color and more full-bodied and sappy than other rosés. The Sol’ Acantalys is redolent of strawberries, raspberries and Rainier cherries. This is the bolder side of rosé that should appeal to a wide range of American palates. ABV: 13.5 percent. Francophilic oenonerds (and yes, there are some oenonerds who are not francophilic) tend to idealize Provence for its food, its wine, its lifestyle. Well, at least I do. This wine, in an unusual bottle that looks like Mrs Butterworth on a diet, captures that fantasy. ABV: 13.5 percent. Made from the Sicilian red grape nerello mascalese, this wine is vibrant and refreshing. ABV: 12 percent. This pale pink beauty harkens back to the days not so long ago when good rosé was a wine lover’s secret and much of the enjoyment was thinking about how cheap it was. Worth stocking up on for the summer. ABV: 11 percent. The label claims this was the first Italian winery to produce a rosato, back in 1943. It is bright red in color, juicy and elegant in flavor. ABV: 12 percent. This entry was posted in France, Italy, Rosé, Wine and tagged Rosé, Wine. Bookmark the permalink. Is the Salento Rose from a Negroamaro grape, a blend with that varietal and Black Malvasia or something else? I just returned from a research trip Lecce tasting lots of amazing Rose and rarely see it around DC. Any suggestions? I don’t believe the label specified the grape. I suspect it is Negroamaro. Thousands of thanks, Dave â very nice suggestions. I bought some Dehesa Gago G on your recommendation a while back and am enjoying it immensely, but as it is in short supply I am building a list of alternatives to stock my modest reserve. Donât want to be caught short when we are hosting! Indeed! Thanks for the feedback. What wonderful recommendations, Dave! I admit to needing a few more roses in my current supply, so it makes these extra special. Thank you!